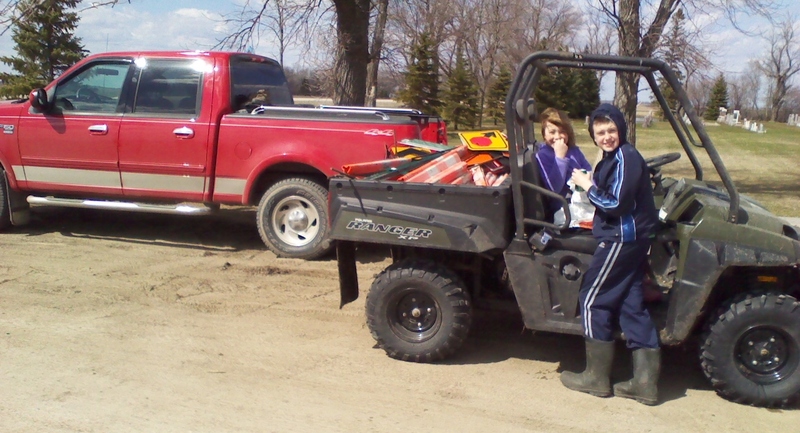 Katie and Dillon Strommen (children of Greg Strommen of Fargo) were out recently helping pick up the snowmobile trail signs and put them into storage for the summer months. Club members reports that nearly 80% of the trail signs have now been picked up. A huge thank you goes out to the club members that VOLUNTEER each season to help with trail signing, as well as picking up all the signs.